What would Oppo do given this predicament I’m in? I bought a Rovertym winch bumper last fall from the forums, but the seller failed to tell me it’s made for a truck with a 2" body lift. So now I have a 150lb hunk of rusty metal that I paid a pretty hefty price for sitting in my garage. 1. Do a body lift. Cost of this is minimal, $100 or so for all the parts. I don’t love the look of body lifted trucks, and I worry about my wheels looking tiny, but they are larger than stock. On the otherhand, I have seen some BL trucks that look pretty BA. 2. Don’t use the winch bumper. Well, then what do I do with it? 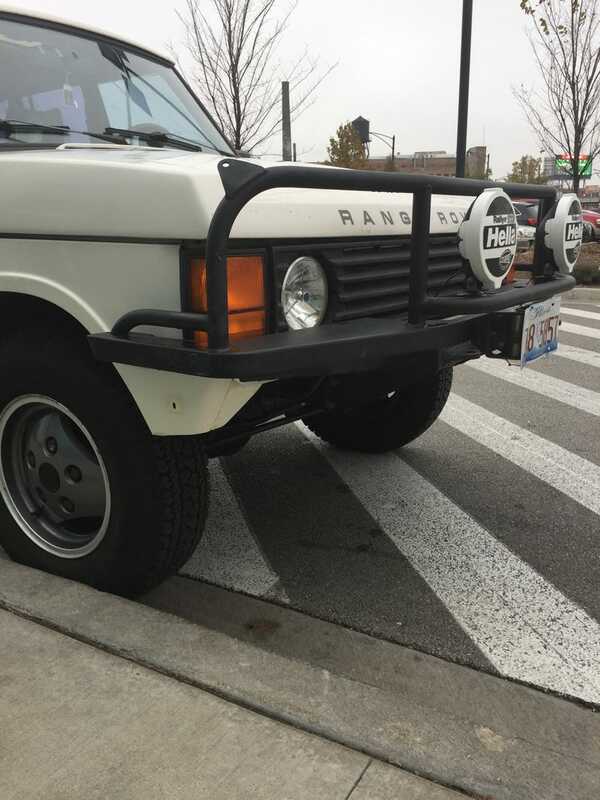 The market for large rusty expensive off road equipment made specifically for 2" lifted range rovers isn’t exactly active, and I bought it because I want to use a winch. 3. Take it to a fabricator and have it fixed. Not sure how much this would cost, but guessing it would be a few hundred at least. Worried that it would compromise strength, but the president of Rovertym confirmed that it could be done.